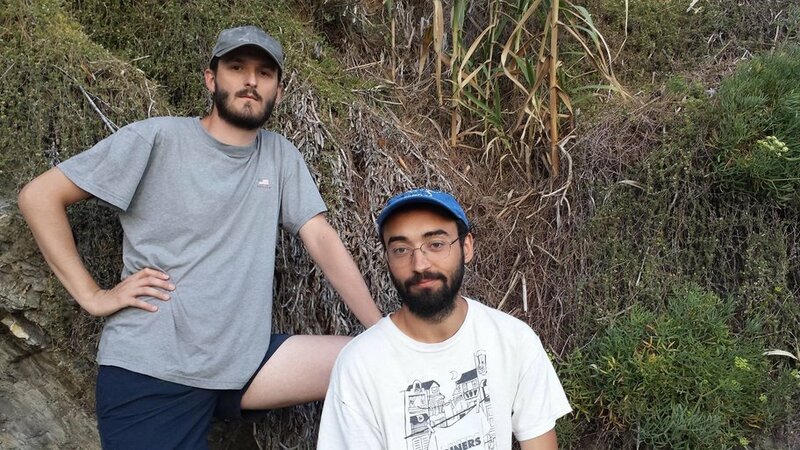 Why Baseball Gregg are rapidly becoming the world's most talented multinational pop duo, with Luca Lovisetto & Sam Regan (from left) living it up in Liguria, Italy; press photo courtesy of the artists. Every Friday Impose’s Week in Pop feature returns to keep you up to date with an international array of media breakthroughs & aesthetic items of various enlightened interests. Sometimes current events occur where there are no snappy introductory sentences or sugar coated flowery platitudes that can divert attention away from the the severity of shared realities. In the wake of the fire at the Oakland Ghost Ship art collective that claimed a reported 36 lives has the entire world of humanity, arts, civic interests & more are searching themselves & the wreckage for answers, closure, recourse & emotional process that newsprint, headlines & words fail to properly encompass. Through the process of healing, mourning, reckoning & rebuilding it is important for us on an international level to never stop fighting for our art, securing affordable & safe spaces for living/working/creating, showing kindness to everyone, and following our hearts’ dreams/goals/desires. See how you can help here, as we dedicate this week’s edition to the following released names of those lost as a celebration & remembrance of their lives: Draven McGill, Wolfgang Renner, Griffin Madden, Billy Dixon, Johnny Igaz (oka Nackt), Ara Jo, Amanda Kershaw, Vanessa Plotkin, Hanna Ruax, Nicole Siegrist (oka Denalda Nicole Renae of Introflirt), Michela Gregory, Alex Vega, Em Bohlka, Micah Danemayer, Chelsea Faith Dolan (oka Cherushii), Feral Pines, Alex Ghassan, Edmond Lapine, Jennifer Morris, Benjamin Runnels (oka Charlie Prowler of Introflirt), Jennifer Kiyomi Tanouye, Cash Askew, David Cline, Nick Gomez-Hall, Sara Hoda, Travis Hough, Donna Kellogg, Brandon Chase Wittenauer, and all the names of everyone not listed. With heavy hearts we move forward & give you some of the week’s biggest buzz & a host of breaking media with news that The Regrettes announced their debut album Feel Your Feelings Fool! available January 13 from Warner Bros & dropped their cover of “Marshmallow World”; Ab-Soul dropped the album DWTW via Top Dawg Entertainment that follows up These Days from 2014 & confirmed this morning that a rumored Kendrick Lamar & J. Cole album is in the making; Mega Bog dropped “London”, dedicated to her dear friend Nick Gomez-Hall who passed last Friday in the fire at Oakland’s Ghost Ship, off Happy Together available February 3 from Nicey Music; Deniro Farrar dropped Red Book< Vol. 1; Sad13 dropped the Isabel Farrington video for “Get a Yes” shot at Silent Barn; Jesus and Mary Chain dropped “Amputation” off upcoming album Damage and Joy available March 24 through ADA/Warner Music & announced tour; YG &1da & Lil Wayne dropped “Trill” produced by Boi-1da & T-Minus; Kaytranada remixed Afrika Bambaataa & the Soulsonic Force’s “Planet Rock” with the KAYTRANADA Planet Invasion Remix; Thundercat announced 2017 World Tour; PJ Harvey announced North American tour; Lil Yachty dropped “Terminator” ft. A$AP Ferg; Sig Ros teaser for something being annnounced on Monday; Ryan Adams announced the upcoming album Prisoner available February 17 from Pax Am/Blue Note; Nicki Minaj & Fetty Wap dropped “Like a Star”; Split Single’s “The Sexiest Elbows in Rock” Episodes 1 & 2; MF DOOM dropped his Solid Steel mix for Ninja Tune; Crystal Fairy supergroup of Buzz Osborne and Dale Crover of the Melvins, Omar Rodríguez-López from The Mars Volta/At the Drive-In & Teri Gender Bender from Le Butcherettes dropped “Chiseler” off their self-titled debut album available February 24 from Ipecac; Tim Kingsburgy from Arcade Fire’s Sam Patch solo album Yeah You, And I available February 17 from Dep Records & dropped “St. Sebastian”; Neil Young dropped further statements on the DAPL protest at Standing Rock; Pandora’s Pandora Premium; Drake is opening an October’s Very Own store in NYC; St. Vincent soundtracked Kristen Stewart’s directorial debut Come Swim; Ghostface Killah is selling his own line of ugly holiday sweaters; Fleet Foxes’ new album will be 11 tracks & “55ish minutes”; Kanye West made his first public appearance post-release from UCLA Medical Center sporting blonde hair; Baltimore’s Bell Foundry shut down by local officials citing “safety violations,” “deplorable condition,” etc; Spotify is not interested in purchasing Soundcloud; Beyoncé’s “Daddy Lessons” rejected by the Recording Academy country music committee; no charges in Russell Crowe vs. Azealia Banks alleged battery incident; and we lament the loss of King Crimson & Emerson, Lake & Palmer’s Greg Lake. As life marches onward, it is our honor & privilege to present the following guest selections from Acting Strange, Baseball Gregg, Juliana LaChance, Barleaux, DÆVA, Exploding Eyes, Gosh Pith, Incan Abraham, Orchid Mantis, Serafim Tsotsonis, TOWNeS, featuring guest selections by Berner, and more—in no particular order.